Hosting an Academy Awards or Hollywood themed party? 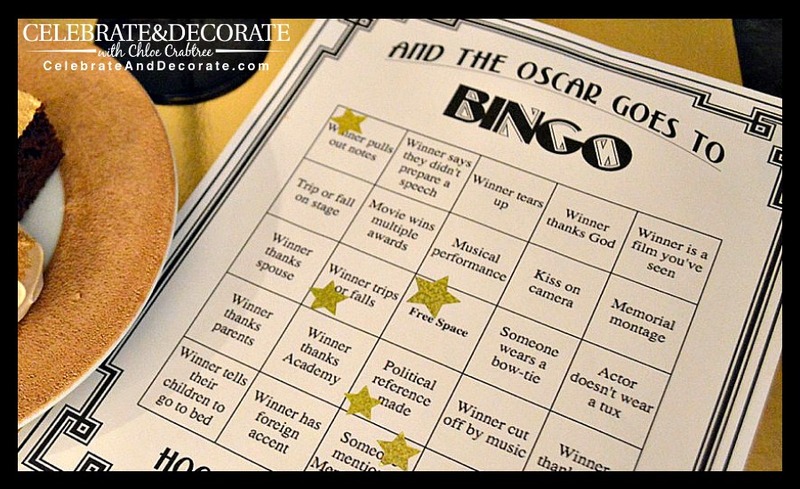 We have two versions of our free Academy Awards/Hollywood Party Bingo Cards. One set is to use while watching the Oscars, the other set should be used as traditional would be played with someone calling the game. Keep your guests entertained while you watch the show by playing bingo. Unlike a traditional bingo game your Guests will fill out their bingo card by what they see happening on the stage at the Oscars! 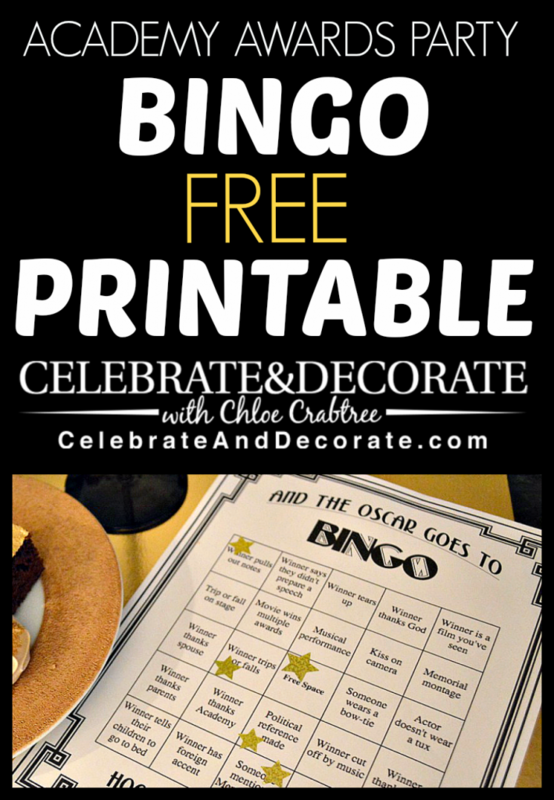 Play a traditional bingo game with your guests during your Hollywood themed party. Each item is listed on the second page of this printable – cut them out to call the bingo game.